UPDATE: This silent auction has closed and the winners have been notified. Congratulations to winning bidders Colleen Lavassasur, Mark and McKenzie. Stay tuned for an announcement on our next silent auction to commence shortly. LOT 1 - 8 M.I. 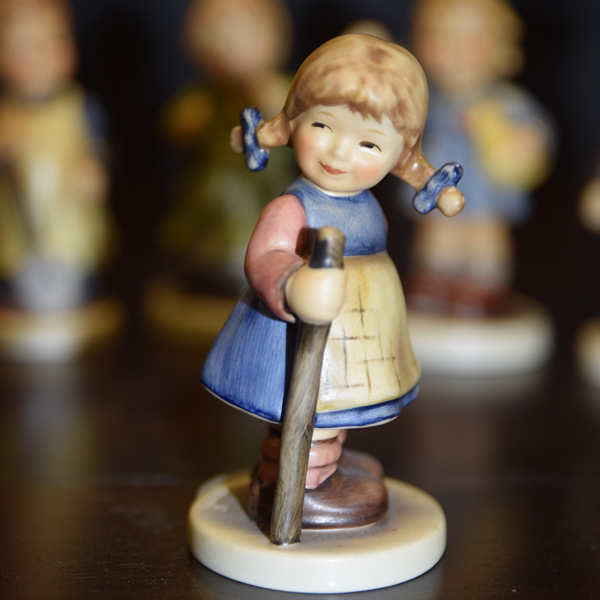 Hummels from Germany - Inspiring heartwarming nostalgia, these eight Hummels from Germany are characteristically posed to touch that sweet spot of cherished memories. No chips are damage on these little charmers. You could take home all 8 Hummels if you're the highest bidder in this silent auction. Bids must be placed in person at the Beaverton ReStore, 13475 SW Millikan Way until 3pm, February 22.